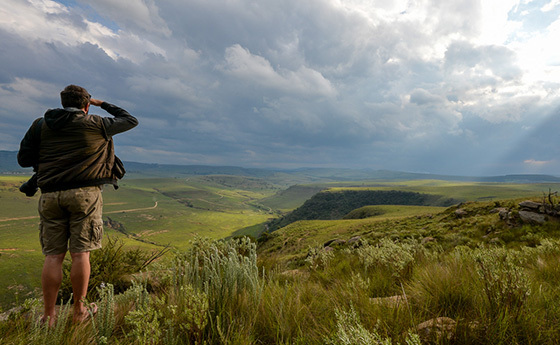 The Natal Midlands stretches from the foothills of the majestic Drakensberg in the west, to the Natal Coast in the east. The Midlands Meander is the renowned arts and crafts trail that brims with amazing sights, sounds and activities. The Natal Midlands has many historical buildings in the area, some of which date back to the 1880's. A number of these buildings have been declared National Monuments, including some well preserved Settler Churches. These monuments include The Natal Railway Museum and the Commemoration Wall, where President Nelson Mandela was arrested, prior to his 27 year imprisonment. The accommodation and entertainment in the Midlands is varied enough to suit any preference and it is still possible to stay in one of the original old hotels, or in an up-market Bed and Breakfast. Whichever you choose, it promises to be a memorable stay. There are many fantastic restaurants, with a diversity of mouth-watering menus to choose from. The Natal Midlands is lovely to see on the weekends as well as during the week. Midlands.co.za caters to different catergories, just to name a few, accomodation, entertainment/resturants, general business, arts and crafts, home improvement, motoring, shopping centers, education, and travel.